Is your laptop display not working or Laptop Screen got broken? Reach Laptop Repair World if your Laptop LCD /LED screen is broken or if your laptop monitor gets dim automatically. 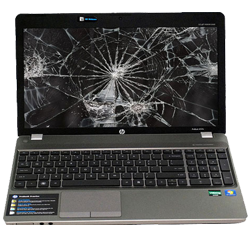 We are expertise in repairing all kinds of Notebook Screen issues. We will replace your damaged or broken Notebook display with original spare parts within 1 hour. There is no hidden charges that is need to be paid. Get your laptop repaired with one year warranty. We stock 100% Original Apple MacBook Screen, Dell, HP, Lenovo, Acer, Asus, Toshiba, Microsoft, Sony VAIO Laptop Screens at our Hyderabad Office. Pay Laptop / MacBook Display Part price, Get Installation FREE. We provide only original spares and aimed for the customer satisfaction. Over a decade, we provide the best and excellent service to our customers. t.